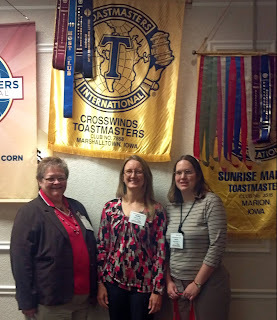 Three of our members, Leah, Melissa, and Jamie attended the District 19 Fall Conference in Cedar Rapids! How did you like those new banners? Thanks for representing! The new banners looks nice. I wonder if they will hold up as well as the old ones, though. It was fun. You should go next time!